Kennedy felt buildup of a military arsenal wasn't enough to show the United States would not cower to communism. So he decided to make a stand in a place few Americans at the time had ever heard of: Vietnam. Narrator: Kennedy believed he had to show strength. And asking Congress to fund an increasing buildup of military capability and weapons systems wasn't enough. He decided to make a stand in a country in Southeast Asia few Americans had ever heard of: Vietnam. The Communist-backed Viet Cong appeared to be winning there. Robert Dallek, Historian: There were people urging Kennedy to understand that if the Viet Cong guerillas succeed in South Vietnam, it's going to be seen as a model for guerilla warfare in other developing nations. And so beating back this insurgency not only saves Vietnam from Communism, but it's going to discourage the guerilla campaigns in other Third World countries. Having suffered setbacks and not ousting Castro from Cuba, having sort of lost the debate, so to speak, in Vienna with Khrushchev, being under the gun in relation to Berlin, he feels he can't step aside on Vietnam, however marginal it may be in his own mind and in the minds of some others telling him that this piece of territory is not all that important to America's strategic security. Narrator: Kennedy was wary of being drawn into another debacle like Bay of Pigs. 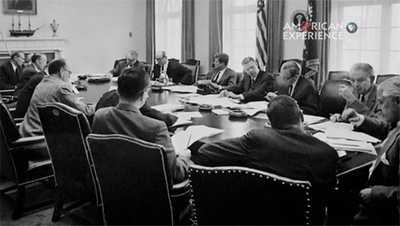 He asked the Secretary of Defense, Robert McNamara, and his only trusted military adviser, General Maxwell Taylor, to give him a reasonable plan. He wanted them to assess the U.S.'s chosen ally there, President Ngo Dinh Diem, to determine the popularity of his South Vietnamese government, and the strength of his military. He asked brother Bobby to stay in the loop too. Timothy Naftali, Historian: Maxwell Taylor and Robert McNamara lay out for Kennedy in late 1961 a set of proposals to manage the problem in South Vietnam, and that involves sending troops. The understanding is that those troops will not engage in combat. Kennedy wanted it to be South Vietnam fighting South Vietnam's war, with American help. Evan Thomas, Writer: And the idea is that guerilla fighters are going to win the hearts and minds of the populace against the Communists, that they're going to fight fire with fire, they're going to fight dirty if they have to, but they're also going to build schools and hospitals. And the Green Berets get started in the military. The regular military doesn't really like this very much. But Bobby Kennedy likes it, and the Kennedys generally like it, and they go to demonstrations of Green Berets swinging from the branches and jumping from trees. And it becomes a kind of fad, but really informs our early Vietnam policy. We would go in there to fight a guerilla war. Kennedy became increasingly worried about turning the Cold War into a hot one, resulting in nuclear catastrophe. Kennedy believed his meeting with the Soviet premier would be a lesson in compromise. 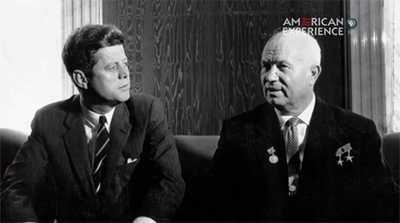 But it was clear Khrushchev was unwilling to negotiate. 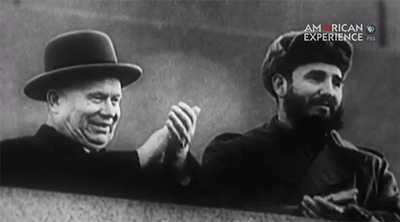 The Cuban Missile Crisis would become one of Kennedy's most lasting legacies.